OBUT MATCH +, Its strength lies in its weak bounce. 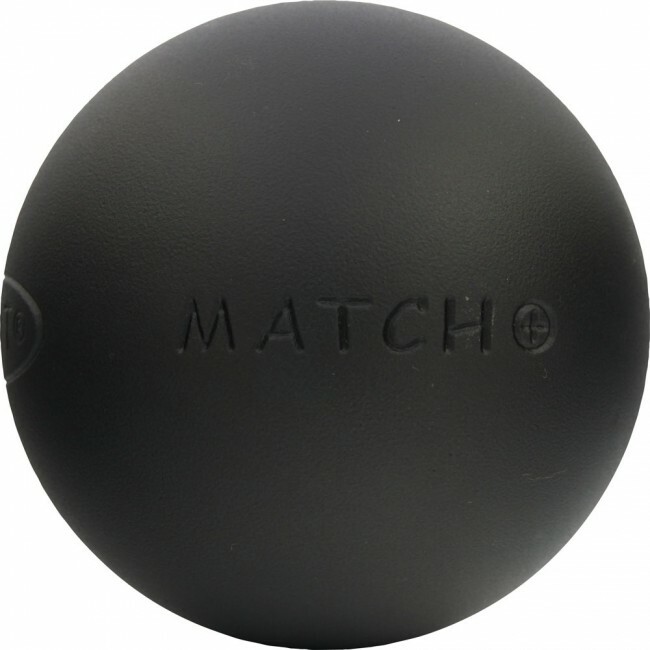 Obut Match+ balls are intented to shooters and pointers informed. Its hardness "Impact absorber +" give a behaviour of a very soft ball, but with a hardness of half-soft classic ball. This allows to obtain an inimitable reaction of game ! Its level of wear is similar to half-soft ball. Her conception high-technology, in carbon alloy steel (used for security pices), enable a reduced internal resonance effect, like the bounce. 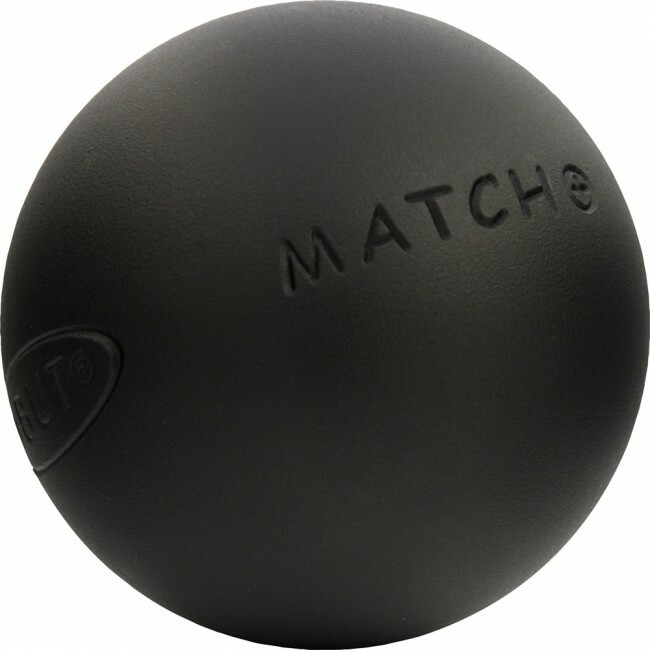 Obut Match+ ball will charm players who search lack of recoil, and a low rebounce. 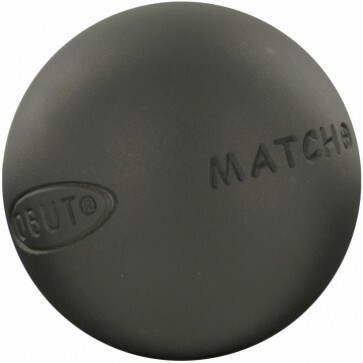 This Obut petanque ball also get an excellent checked balance. The satin black finish with soft shot-peening, allows a good grip in hand. This finish normally wears down with use. To avoid rust, a regular maintenance is required by oil or lubricate. 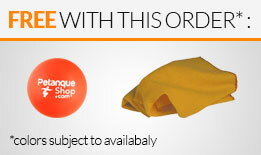 -Three balls supplied in a cardboard box with small microfibre wiping and a hood jack, approuved for compétitions. Obut Match+ ball is available with striations or not. Beyond esthetic, striations allows to easily stop on the ground. Read our advices to choose a competition petanque ball. Be different on the ground by engraving your balls ! This allows you to simplify identification of your balls, especially when another player have the same balls. We propose 3 types of engraving : stylized (2 capital letters), long (from 4 to 15 characters), and initials (from 1 to 3 characters). Discover all details of customization engraved.